Writing a script is no easy task. Fun? Yes. Exciting? Yes. Easy? Absolutely not. Luckily we have blueprints in the form of beat sheets and 3-act movie structure to help us put all the pieces in place to write a great screenplay. Ken Lemm knew all about blueprints as a landscape architect working in Atlanta. Like many writers, Ken started out in a different field. Architecture. The reality for a lot (if not most of us) is that we often have to hold a day job while writing towards our screenwriting career goals. The good thing is that it’s more than possible to do this. With some juggling and dedication, you can build the screenwriting career you want. Ken listed his scripts on InkTip to make them available to producers. One of his scripts caught the eye of Elizabeth Snoderly of G It’s Entertainment. She contacted him and hired him to write a sequel to a Christmas film, and then turned to Ken again with the idea for Save This Dance. 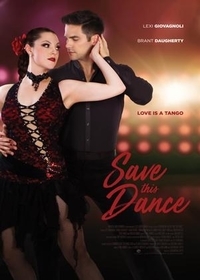 Save This Dance tells the story of two former high school sweethearts who reluctantly reunite for a dance competition in an attempt to save the small town's failing dance studio. There’s drama, sequins, rich characters, and lots of dancing. It’s a fun, heartfelt movie for all ages. It was released on May 22nd, 2018 by Mar Vista Entertainment. You can see it now on iTunes, Amazon, Google Play, Vudu, DirecTV, Comcast, Cox, Charter/Spectrum, Dish, and Sling. Ken is known for his fun and heartwarming family-friendly scripts. 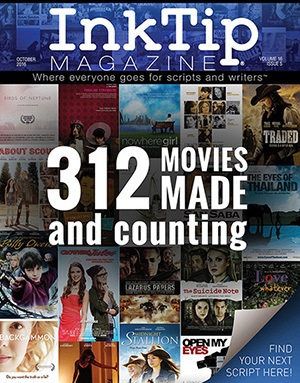 He’s had three films produced through InkTip and even met his manager as a result of an InkTip script listing. Ken shared his journey with us and his top tips on how to build a screenwriting career. 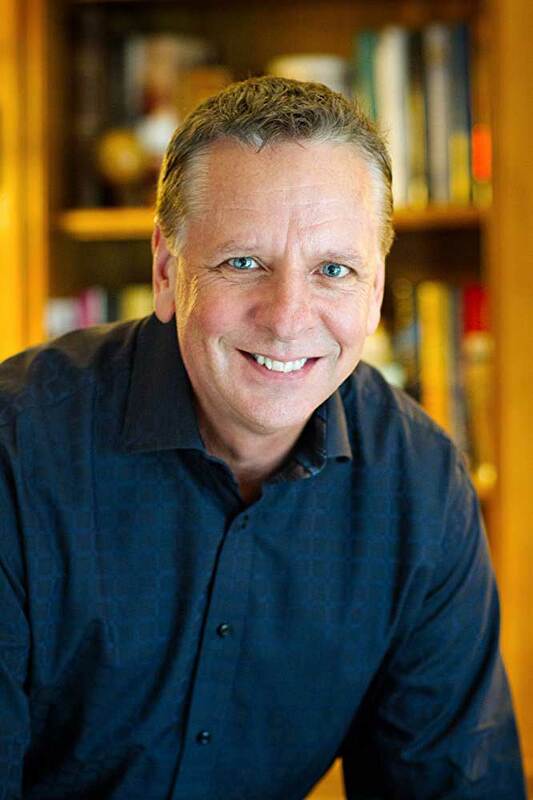 Ken: My father was a pilot in the United States Air Force and instilled in me a strong work ethic from an early age. My family moved a lot with the Air Force, living in Texas, Ohio, Louisiana, Cape Cod, Massachusetts, Florida, and New Jersey, as well as Laon, France and Wiesbaden, Germany. Fortunately, I knew I wanted to be an architect at a young age, and I was thrilled to study the layouts of the castles and villages we’d visit while we lived in these foreign countries. After graduating from college in the middle of a recession, I moved to Atlanta for a rare job opening. Atlanta then was a small, sleepy Southern city. Decades later, I’ve watched Atlanta triple in size and become, in addition to an amazing, vibrant city, one of the leading centers for film and television production. As the owner of a Landscape Architecture Design firm specializing in high-end residential design and planning, I’ve had the chance to work with amazing people from all backgrounds and stories. It wasn’t until after building a successful private design business that I returned to writing. One of my first breaks came when I stumbled upon a contest sponsored by The Writers Store. It was the inaugural year of the competition. Given a logline only, and no restrictions as to genre, participants were to write the first 15 pages of a screenplay. My entry made it to the top 10 out of more than a thousand entries. The top ten finalists then worked with a Writers Store mentor over the next several months to complete their scripts. My spy/drama/romance DRUM took second place and went on to win more than two dozen awards at film festivals and screenplay competitions. This experience gave me the skills, confidence, and drive to actively pursue screenwriting. InkTip: How did you and the producer of Save This Dance connect? Ken: Elizabeth Snoderly, the producer of Save This Dance, first found my work on InkTip, where my screenplays and resume information showcased my experience working on family films with modest budgets. Elizabeth first hired me to write the sequel to a Christmas movie she’d produced and which had aired on a major network the year before. With a rough synopsis/ storyline put together, and based on the characters and story of the first film, I worked with Elizabeth to flush out the story and write the script for the sequel. InkTip: How do you feel about the film and seeing it on screen? Do you have a favorite scene? Ken: While writing the script, the producer (Elizabeth Snoderly) continued conversations with the distributor about the final story they wished to promote. The script began as a story centered around a specific holiday, to one about a birthday celebration, and finally to a film about a troubled dance studio. Even the final storyline changed somewhat during the process. My favorite part of the film is a very sweet scene involving fathers and their young daughters bonding during a ballet class. InkTip: You’ve written a lot of great family films. Did you naturally gravitate to this genre? What drew you to it? Ken: There’s always been a part of me that longed to understand why people do the things they do. Although I enjoy action and thriller films, I’m most comfortable writing about characters and their motivations. When it comes down to it, short of our individual faith, our relationships with our families affect how we see the world and makes us who we are. I love the thought that, for the most part, my films could be viewed and appreciated by all ages. Ken: I’ve posted my work on InkTip for the past seven or eight years. My first success was with a short screenplay I had posted on the site. Producer/Director Bobby Curnutt and Austin Haley found my short screenplay These Foolish Things on the site and purchased the script. This was especially meaningful as they planned on shooting the film almost immediately, with filming taking place in Birmingham, Alabama, just a couple of hours away from my home. I was able to be on set for the filming and, in addition to getting to work with some amazing filmmakers and actors, gained invaluable experience into all the aspects of filming. Ever since I have taken every opportunity I could to be on set for at least part of the filming process. I also subscribe to the InkTip Preferred Newsletter and submit to every listing when appropriate. Many times, even when speaking with a producer outside of InkTip, I’ve been surprised when they mention that they know of me and my work from their use of the InkTip site, a great testament to the influence of the site. One of the features I love most about posting my work on the InkTip site is the opportunity to add extra information such as budgets, multiple genres, lead character ages, etc., helping to attract producers and other decision makers to my individual projects. I believe that each of my films can be traced back to either a script I posted on InkTip, or from a relationship I developed with a producer or director after responding to an InkTip newsletter posting, including A Horse for Summer with producer/director Nancy Criss of Nandar Productions and Runnin' From My Roots with producer Gabrielle Evans of Silver Lining Pictures. Also, my screenplay The Twelve Strays of Christmas, is currently under option with Lyndon Baldock of Templeheart Films, was found on InkTip. A behind-the-scenes look at one of the film’s dance sequences. This was filmed at a real life studio that has a non-profit program for community performances. Local dancers were featured in the film. InkTip: You’ve had several films produced through us such as A Horse for Summer, Runnin' From My Roots, and now Save This Dance. How has the way you write and the way you market yourself and your scripts changed as you’ve gotten more experience? Ken: Although sometimes frustrating, working with moderate budgets has been a great influence on the way that I write. Scripts need to be economical with characters, crowd scenes, locations, interior versus exterior shots, day versus night shots, etc. This has taught me to examine every decision during the writing process to fully understand the value of each scene, bit of dialogue, and character addition. As for marketing, I have relied heavily on social media to not only develop a circle of friends and associates for support and encouragement but also to promote my work. In several cases, meeting producers on InkTip, Facebook, LinkedIn, and Twitter, whose work I had admired developed into an ongoing professional friendship and ultimately the production of my first four films. To stay motivated, I usually produce movie posters/ visuals for the projects I’m working on. Social media has proven to be a great place to use these visuals to draw attention to the works. I devote a portion of each writing day to marketing, whether it’s sending query letters, scouting for opportunities on InkTip, discussing ideas and opportunities with my manager Kathy Muraviov (who I met through InkTip) or updating IMDb and social media accounts with news about current and ongoing projects. I’m usually attracted to small character-based films, such as those by Tom McCarthy (The Station Agent and The Visitor). I also loved Dan In Real Life, Lars and the Real Girl, and Henry Poole is Here, and TV shows like Downton Abbey and Victoria. In each example, I find myself drawn to characters unlike anyone I have known in real life. While talent, originality, and timing are obvious necessities to a successful writing career, so too are relationships. This includes interaction with peers of all experience levels via social media, writers’ groups, or film festivals. I’ve been impressed with the willingness of fellow writers to share experiences, notes, and even leads. 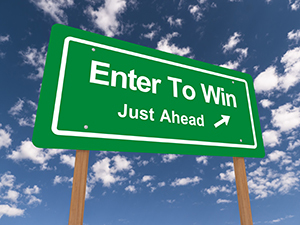 In most cases, we are not in competition with other writers except in actual screenplay contests and film festivals. In real life, shared experiences, leads, and opportunities, seem to strengthen all writers involved. Even more so, forging real relationships with decision makers is crucial. For example, several years ago, I reached out on Facebook to a producer whose small independent film I’d seen and enjoyed immensely. A simple fan message (with no other agenda) in time resulted in a relationship which turned into a producing partnership and my first feature-length film. Since then, this producer and I have completed a second feature, have a third and fourth in pre-production, and just recently had an hour-long television drama greenlit. Another relationship that began with interaction on social media also led to a writing assignment and a feature-length film which just completed filming in Mississippi. And an interaction through a LinkedIn screenwriting group led to a writing assignment from a top Hollywood producer. Taking nothing away from the benefits of having a manager, agent, or entertainment attorney, my advice is this: nothing compares to taking your career into your own hands. No one will work as hard for you as you will for yourself, or look beyond the immediate to the long-range goals you have for yourself. Also, never trust your memory or waste an idea. When an idea comes or inspiration is sparked at an inopportune moment, send yourself a voicemail, jot it on the back of a sales receipt, keep a pad by the bed. The next great screenplay might result from what seems like a fleeting thought or tiniest idea. As tough as it may be financially, make every attempt you can to take advantage of any opportunity that comes your way. Almost every industry one might pursue requires investment, either in the form of a college degree, trade school training, or unpaid internships. Whenever possible, attend a film premiere, a film festival, or an industry mixer; anything which might lead to industry connections. Never lose sight of the potential value of tiny opportunities while chasing the big splash. I often recount this story to new employees of my design firm; we accepted the commission to design a front walkway and stoop for a new home. It was a very small project for our firm, one we might have normally turned away. As it turned out, the client not only became a very good personal friend, but also one of the country’s leading interior designers and a huge referral source for amazing work for our firm. I keep this in mind when I consider things like small writer-for-hire opportunities. Entering a short screenplay competition in the UK resulted in my film having a London premiere, working with an amazing director from Istanbul, and a mention in the Guinness Book of World Records. Writing a sixty-second script for a producer to enter the Doritos competition resulted in the relationship that will produce my upcoming film Take 2 for Faith. A simple fan letter to producers I admired led to my first several films being produced, and a couple of pending ‘writer-for-hire’ commissions. You never know.